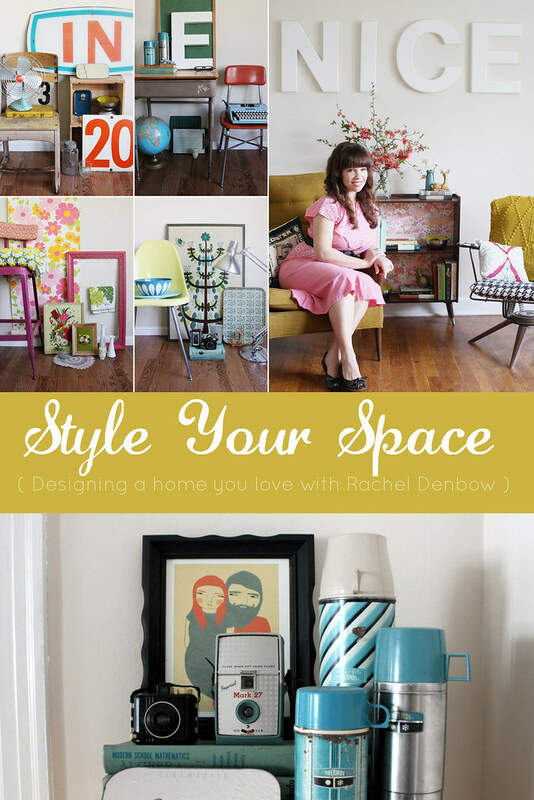 My newest e-Course, Style Your Space, is finally available! It's everything I've learned about styling a beautiful home on a budget. I share how to find your interior style, tips and tricks on arranging, interviews and room tours from eight other women whose own beautiful homes have influenced my style, and a few DIY's to make things more fun. Session 1: Introduction - Well curated homes take time and patience but you probably have a lot of what you need already. Session 2: My Vintage Romance - I share the story of my clueless decorating days, how I found my style, and why it's mostly pretty stuff that used to belong to someone else. Session 3: Finding Your Style - How to gorge yourself on interior eye candy, digest it, and create a plan. Plenty of resources and links to get you started. 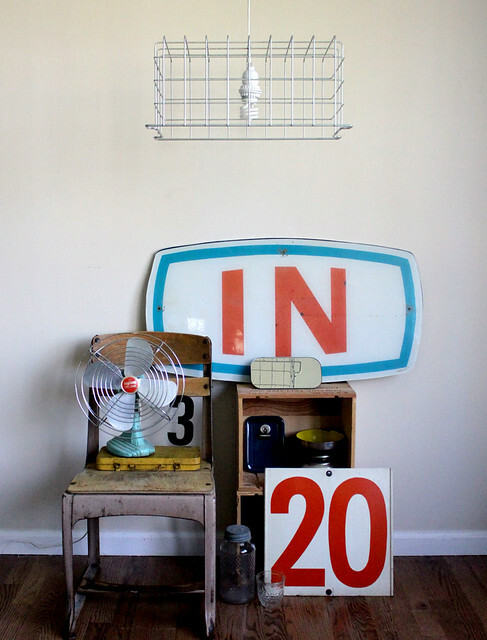 Room Tour: Lisa Congdon - Peek into her well curated living room. Session 5: Resources - Deciding what you need and where to find the good stuff. Session 6: Working With What You've Got - What to do whether you're phasing it out or starting from scratch. Room Tour: Victoria Smith - This lady knows how to use pink! Session 8: Rules to Follow - Techniques that can make all the difference in how your space looks. Session 9: Rules To Break - Permission to disobey. Room Tour: Jenny Mitchell - Her bold and beautiful living room/dining room. Session11: Scale, Balance, & Composition - Examples from my own space on creating a beautiful vignette and making sure your arrangements are pleasing to the eye. 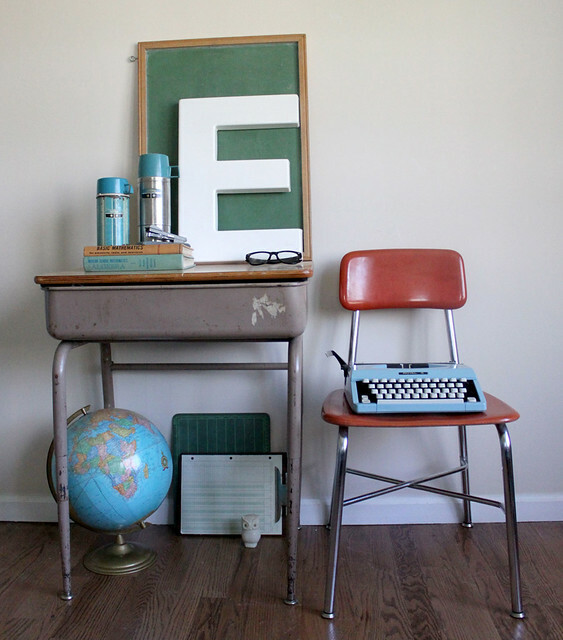 Session 12: Arranging A Space - What comes first, second, third, etc. when layering your space. Room Tour: Rubyellen Bratcher - She didn't let her suburban track house stop her from creating a rich space full of character. Session 14: Display Dealbreakers - How to get it wrong. 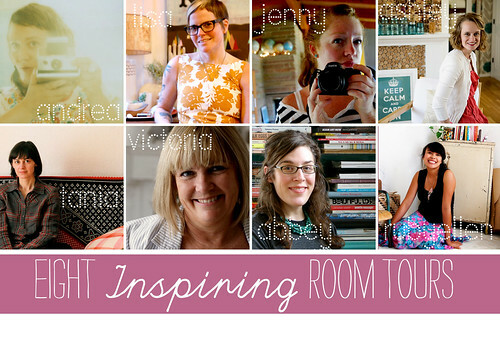 Room Tour: Andrea Jenkins - You'd never know it was a rental! 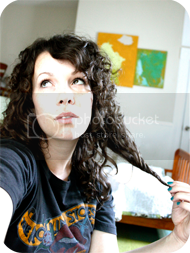 Session 16: Dealing With the Ugly - Ideas to help you get through the rest of your lease. Session 17: Editing and Organizing - Taking out the clutter and replacing it with harmony. 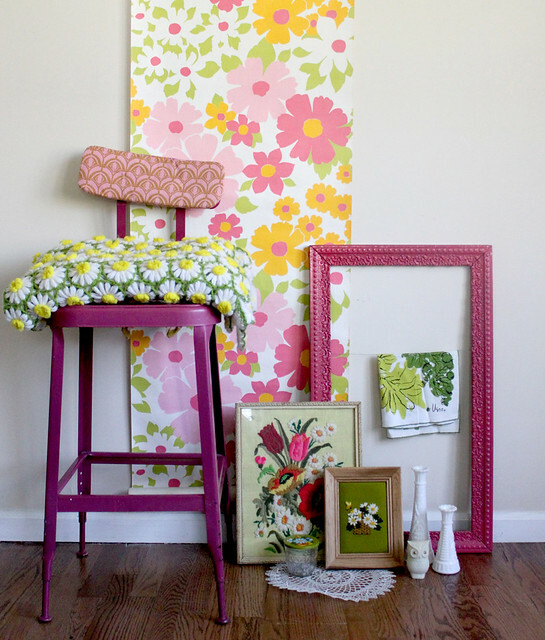 Room Tour: Ashley Campbell - DIY at it's best in her daughter's bright and cheerful room. Session 19: DIY Chevron Rug - Get in on this trend without spending a fortune. Session 20: Mod Industrial Lighting - An easy option when overhead lighting is driving you crazy. Session 21: Happy Hammock - Taking design outdoors. Step-by-step instructions to creating your new favorite spot in the yard (or your room!). 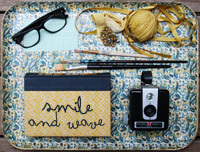 Session 22: Geometric Art - An easy way to reuse an old frame and get a little creative with your wall space. Room Tour: Abbey Hendrickson - Not your traditional play room! Room Tour: Tania Patritti - Her well-organized, colorful studio space. Session 25: Afterthoughts - How long this could take and how not to panic. 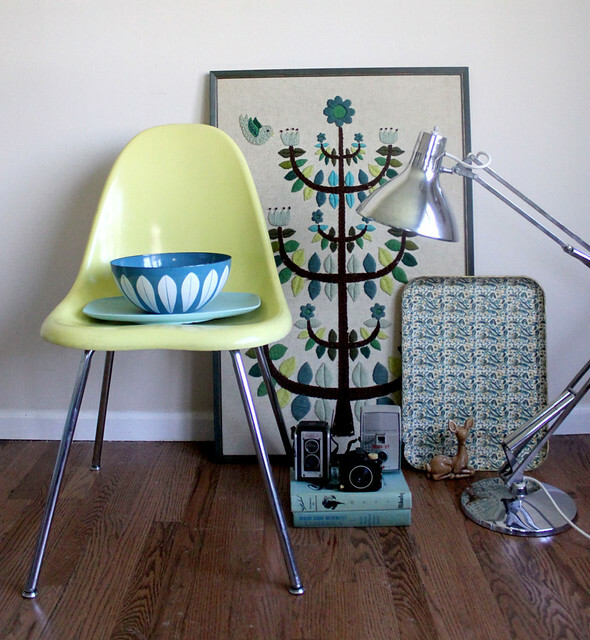 Bonus: Tips on photographing your space to show it's good side. I'm so proud to have eight special ladies joining me for this e-course. Lisa Congdon, Victoria Smith, Abbey Hendrickson, Andrea Jenkins, Jenny Mitchell, Tania Patritti, Rubyellen Bratcher, and Ashley Campbell. Each of their unique tastes and trademark spaces have inspired me in some way as I've developed my style over the last few years and I'm sure you'll enjoy their insight into how they put their rooms together. They make it look so effortless! Style Your Space is full of interior shots of our current and previous spaces with plenty of great ideas on how to introduce color when your home doesn't belong to you. Great for home owners and renters alike who are looking for ways to design a space that feels like home. This is a 'work at your own pace' course. There are no due dates. Students are encouraged to follow along at their own pace. You can purchase your course through Red Velvet here. This project has been in my head for months!It's kind of thrilling to finally have it online and already being enjoyed by people wanting to make the most of their space. I appreciate all of the support from my little family as I've worked on this e-course these past few weeks and for all of your encouraging comments on our room tours! i already got it! Looked through it a little today on my lunch break and it looks hecka inspiring! i can't wait to really delve in. Rachel.... ohhhhh I love this.. I'm signing up , for sure!!!!!! 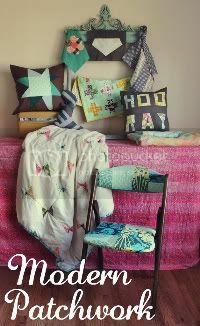 I've already taken your HOME EC CLASS and I'm just learning to sew now... if u visit my blog and scroll down u will see my first patchwork pillow I made this past weekend, and guess what? I'm handpainting my own fabrics! so much fun! hugs... this course is exactly what I need, hugs xo love you and your blog and all your beautifulness! whoop, I'm moving and need all new stuff. I've been daydreaming about decorating, so this couldn't come at a better time!!! I just bought it! This looks fantastic Rachel! I love ur decorating style... my bday is coming up huubby! YAYYY! i've been waiting for this! THANK YOU RACHEL! Second, this course couldn't have come at a better time - I was just telling someone that I did not feel like our house really fits what our style really is, so I'm looking forward to making some BIG changes!!! Number 2 (find Number 1 on my blog) birthday wish gift. After temporarily moving back into my parents, this is going to be the perfect course to help me figure out how to use all the fun new stuff I've been adding to my storage for my future house! yay...all enrolled! going to love working through this and planning for our future home!! I'm so in! I'm moving at the end of this week, and this would be a great way to figure out how to style my new place! I'm so in! My house really needs to be rearranged and fixed, what perfect timing! I can't wait to get into it! Thankyou Rachel! this sounds GREAT! as a renter, i can always use a little home decorating inspiration! Just purchased and am extremely excited to start! :) Thank you for inspiring, teaching and sharing! I love it! This is going to be so much fun, I can just feel it! Yay! This is exactly what I need. I discovered my love for vintage in the past year or so and we've recently moved and I've been at a loss on how to pull it all together. Can't wait to check it all out, I just purchased! i purchased it today and i'm very excited!!!! i just looked through some of it and i'm super inspired. Ahhhhh! Soooo many great classes coming from rva! I love it! Definitely going to have a lot of "homework" this summer with these! My boyfriend and I just bought our first house, so this couldn't have happened at a more perfect time! We close this friday, I'll definitely be in attendance for this class! You are great! This looks amazing! Congrats, Rachel!! I just might take your course, because like you said, I do have everything I need- I just need the drive & added encouragement to decorate those plain white walls! This looks totally awesome Rachel! I am moving into a new house this spring, and have been chomping at the bit to organize and decorate. About 90% of my furniture is either thrifted or hand-me-downs, and I could use some fresh inspiration! Is there a deadline to sign up?